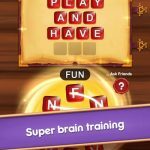 If competitive word puzzles are your thing, then Word Jumble Champion is right up your alley. 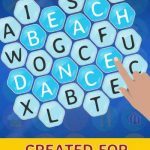 Bitmango’s latest word game for mobile devices will have you scrambling to create words out of the letters you are given. It will make you think differently, unconventionally or from a new perspective. There are plenty of categories and some of them are really educational and entertaining at the same time. Your goal is to swipe or tap as quickly as you can in order to rearrange letters and form words. The game gives you a set of jumbled letters and it will be up to you to come up with possible combinations that will turn into words. 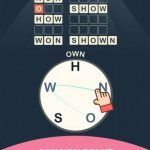 The gameplay of Word Jumble Champion is simple enough for anyone to pick up, but the competition can be fierce. Remember, you will be competing with word masters from around the world. There are two modes to choose from. You can practice in Classic mode in order to get a good grasp of the game’s mechanics and build your confidence. Once you are ready, join other players in the Champion’s League mode. If you are looking for some added challenge, you can even try out timed play. 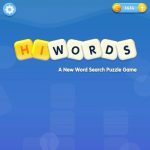 Word Jumble Champion offers several lifelines and boosters that can help you move forward in case you get stuck. There will be times, however when these will not be enough. You will need more than just a wide vocabulary if you want to win league matches. It’s a good thing you can rely on our Word Jumble Champion answers and solutions to help you make it to the top!